The world's most reliable source of advanced information at the intersection of technology and economics. 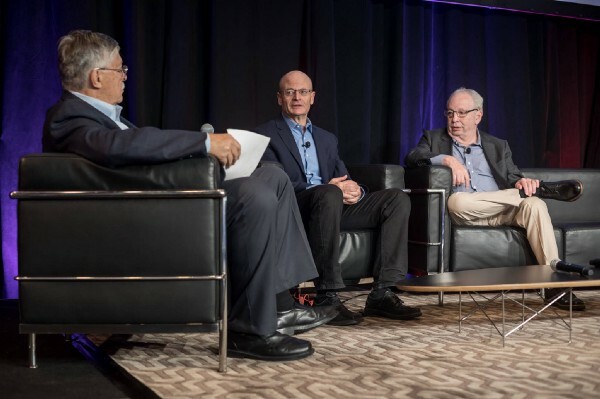 The second panel on the final day of the Future in Review 2017 conference consisted of Gahl Berkooz, Chief Data and Analytics Officer at Acorns, and Murray Cantor, Author and former IBM Distinguished Engineer and CTO of Aptage. The panel was moderated by Robert Anderson, chairman and CEO of HEVT LLC and discussed fintech and the future of analytics. 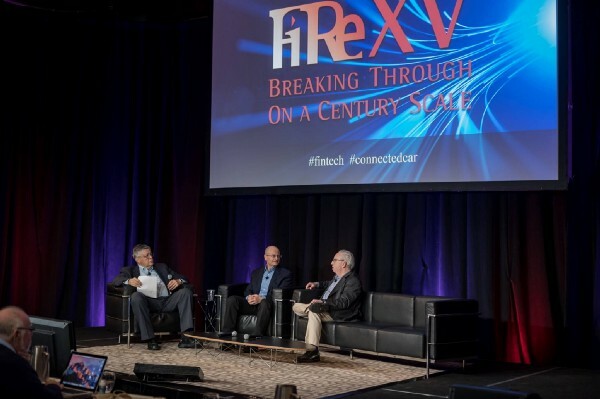 According to Berkooz, Fintech is defined by its disruption of current financial institutions including banks, and their high fee based revenue models. These institutions have traditionally favored wealthy individuals, with many services and offerings only making sense or available to those belonging to the highest income bracket. Approximately 70% of Americans have less than $1000 in savings. The value proposition of Acorns, Berkooz explained is automatic enablement of savings and investment removing the transactional fees. Removing the transactional fees enables consumers with lower income to make investments. Berkooz also mentioned his company Acorns is not the only form of disruption arising in financial services. Fintech startups offering robo-advising and low-cost trading are also disrupting industry by providing services previously unavailable to a broader, lower-income market. The conversation soon shifted to artificial intelligence(AI), Data Science, and the future of analytics. Berkooz discussed the monumental impact these fields will see due to massive data collection, large compute power, and changing consumer expectations for personalization . “We are just at the beginning of a golden age of data,” said Berkooz. Data Science is also being approached in new ways. When speaking to the trends in data science and analytics Cantor explained a shift is occurring towards small datasets. He used the example of the growing trend of data utilization in project management with small teams. Cantor emphasized the importance AI is beginning to play in this solution due to the inherent challenges surrounding smaller sets of data and incorporating information from various datasets. There also remain many unanswered questions and challenges involved with AI implementation. How do you measure the intelligence quotient of an AI system? According to Cantor, there is currently no answer to this question. Though not all questions have been answered nor best practices established, both men were optimistic regarding near future application and abilities of systems with respect to risk assessment and management, and personalization of content. They stressed solutions are already coming and they will involve a synthesis of human and machine work.